Registered for the live event, get busy and cannot make it! No worries you will automatically receive a recording! As professional dog trainers and behavior consultants, we know that training a dog requires a combination of knowledge and mechanical skills; after all, dog training is a hands-on project. We also recognize that there are several ways to train a dog, lots of different methods, and many conflicting and varied philosophies about how training should be approached. So, let’s learn the important concepts that can help us to help our clients in a fun and easy way. In this webinar we will review what we believe are the Top Ten Knowledge Concepts that as professional trainers we need to transfer to our clients in support of, and as a foundation to the key skills we teach them. 1. 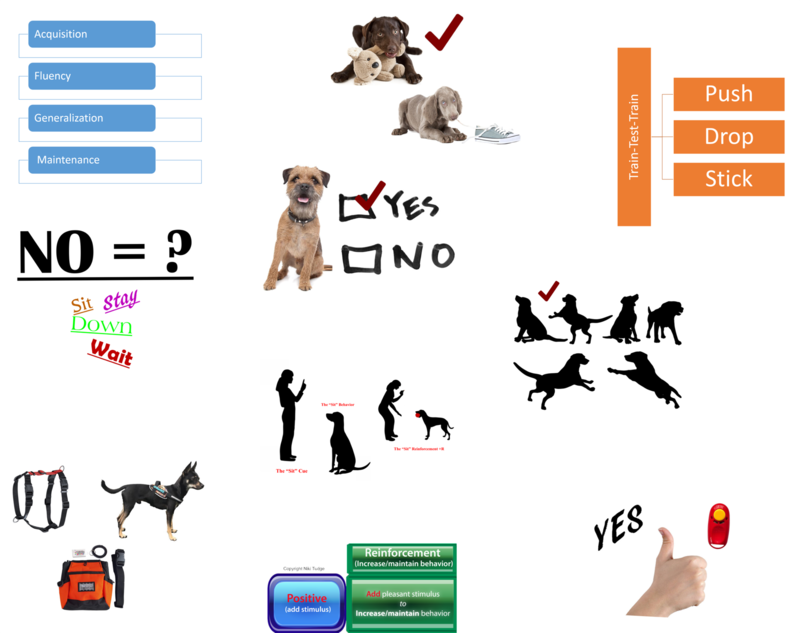 How to help clients make the best decision in choosing a dog trainer. We know that training a dog requires a combination of knowledge and mechanical skills; after all, dog training is a hands-on project. 4. Learn how to make it easy for your clients to choose you as a professional dog trainer, these 10 recordings can be used on your website, social media or in emails to promote the Top-Ten Knowledge Concepts. 5. Learn how these concepts can also be used to support lesson plans, homework emails and the transfer of important knowledge. #3 “No!” isn’t a Behavior. #8 What Will You Name It? Niki is a certified in dog and people training and has spent the last 18 years teaching dogs and people across many disciplines. Niki is a certified Six Sigma Black Belt which gives her a unique perspective to training and teaching people. To ensure each person learns and effectively trains their dog, Niki uses her skills and experience as a Six Sigma Black Belt working in data analysis to baseline, monitor, chart and analyze the training process and its results. Data and statistics are used to baseline, track and improve changes in behavior and processes. When these skills are collectively grouped together it makes for a very fun, scientific and strategic approach to training and behavior change. Niki is the President and Founder of The Pet Professional Guild, DogNostics Career Center and The DogSmith, Dog Training and Pet Care Licensing. Niki also serves as the President for Doggone safe.